The UW Memory and Brain Wellness team is involved in a collaborative effort to improve memory loss care services and community opportunities in WA State. Marigrace Becker, the UW MBWC's program manager of community education and impact, gives an inside look. With a multidisciplinary team of doctors, ADRC researchers, and community education staff, the UW Memory and Brain Wellness Center (MBWC) understands the power of collaboration when it comes to promoting the well-being of people living with memory loss and their loved ones. So when the opportunity arose to play a key role in Washington State’s “Dementia Action Collaborative,” we jumped at the chance. So what is the Dementia Action Collaborative (DAC), and how are we involved? 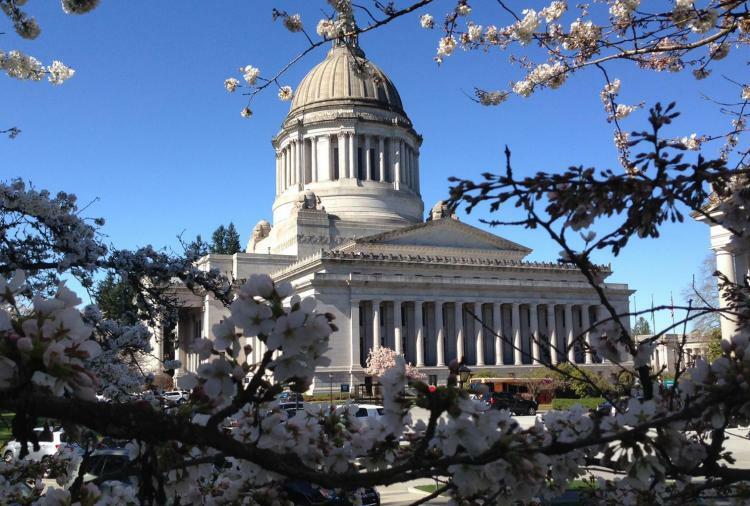 It all started in early 2016 when the state legislature approved the WA State Plan to Address Alzheimer’s Disease and Other Dementias. The state plan sets out visionary goals and recommendations on raising awareness, ensuring early and accurate diagnosis and treatment, and improving supports and services for families. 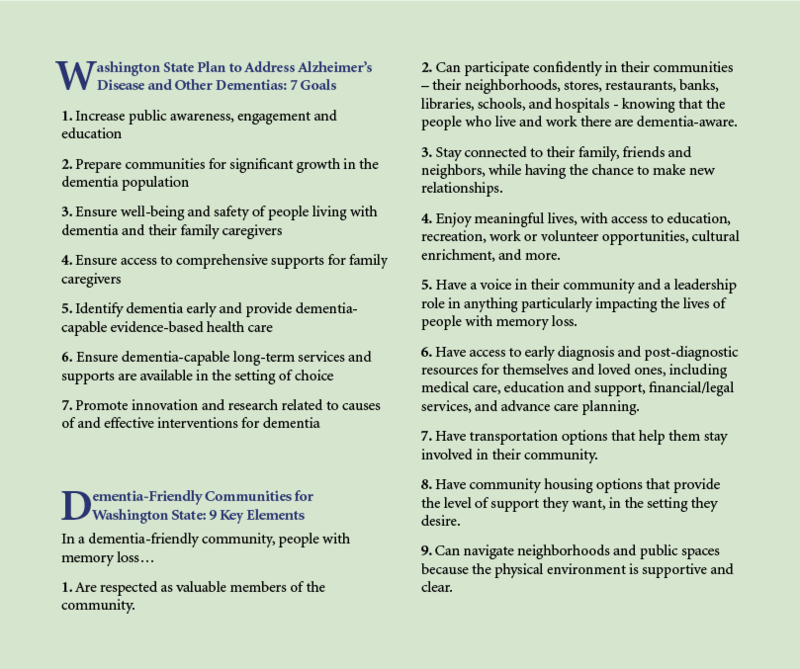 With over 100,000 Washingtonians living with dementia, and the numbers anticipated to triple by 2050, the plan can’t be more timely. Ready to take action on these recommendations, the state convened the DAC in April 2016. 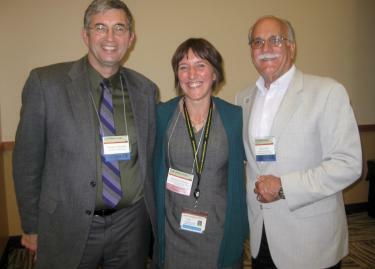 From left: The director of the UW MBWC, Dr. Thomas Grabowski; Dementia Action Collaborative (DAC) team members Marigrace Becker of the UW MBWC and Bob LeRoy of the Alzheimer's Association-WA State Chapter. The DAC is a voluntary public-private partnership that aims to guide and support the implementation of the state plan. Members are divided into three subcommittees: Public Awareness and Community Readiness, Health and Medical, and Long-Term Supports and Services. The MBWC’s expertise in the realms of clinical care, research and community are perfectly suited to support this vital work. Rhoads chairs the Health and Medical Subcommittee. He and his team members are taking action on three recommendations: convening an expert panel to identify evidence-based standards for diagnosis, treatment, and supportive care for people with dementia, recommending the best cognitive- screening tools, and helping promote effective memory assessment within the Medicare Annual Wellness Visit. Early on, Rhoads’ subcommittee addressed their first goal by strategically aligning with the governor-appointed Bree Collaborative – a group focused on improving healthcare services throughout the state. Each year, this group chooses up to three health care services with high variability in treatment approach and patient outcomes, and identifies and recommends best practices. For 2017 – thanks to the advocacy of Rhoads and his team – the Bree Collaborative chose dementia. The ADRC’s Dr. Suman Jayadev, UW Medicine neurogeneticist, also lends her expertise to the Health and Medical Subcommittee. She agrees with Rhoads on the value of reliable screening tools – not only as a gateway to treatment interventions that may slow changes in memory and thinking, but also a way for people to find out if they qualify for research studies. “If people can get their Alzheimer’s disease identified early and accurately, they can be alerted to any good clinical trials that might be out there,” she says. Along with medical care and research, the MBWC’s experience with building dementia-friendly communities is also being put to use in the DAC. As the MBWC’s program manager for community education and impact, I’ve had the chance to lead a DAC project team producing a fact sheet (see below) that identifies the key elements of a dementia-friendly community. Too often, people with memory loss and their families end up isolated because of social stigma or other barriers to inclusion. We want to make sure Washington State is a place for all people to belong – by building understanding, challenging stigma, and incorporating simple practices that people with memory loss note would help them fully participate and contribute. For example, we envision providing dementia-awareness training for bus drivers, grocery store clerks, bank tellers, and emergency responders. In Washington, we have a head start through Momentia – a grassroots movement empowering people living with memory loss and their loved ones to stay connected and active in the community. 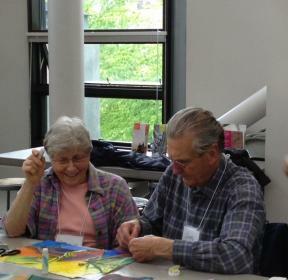 By defining dementia-friendly communities, and by highlighting this local effort – such as the Frye Art Museum’s here:now program, the memory loss walk at Woodland Park Zoo, or the dementia-friendly volunteer program at Cherry Street Food Bank – our DAC project team hopes to inspire and equip other communities around the state to become dementia-friendly.